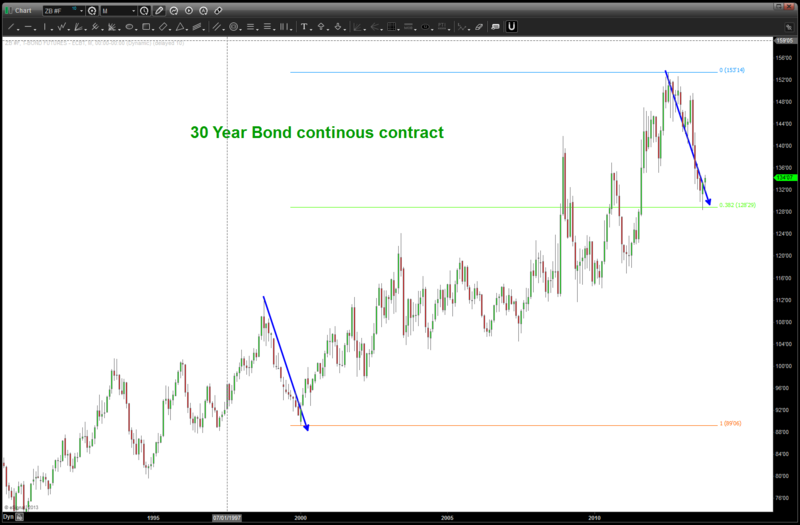 now, the question is will the bonds seek new highs suppressing yield to a great degree? there is a count that favors this action, but honestly, I don’t know ..just have to realize that the correction that has occurred in fixed income is almost precisely in line w/ the “normal” corrections that have occurred in the context of this 30 year BULL market. things are truly about to get very very interesting ….